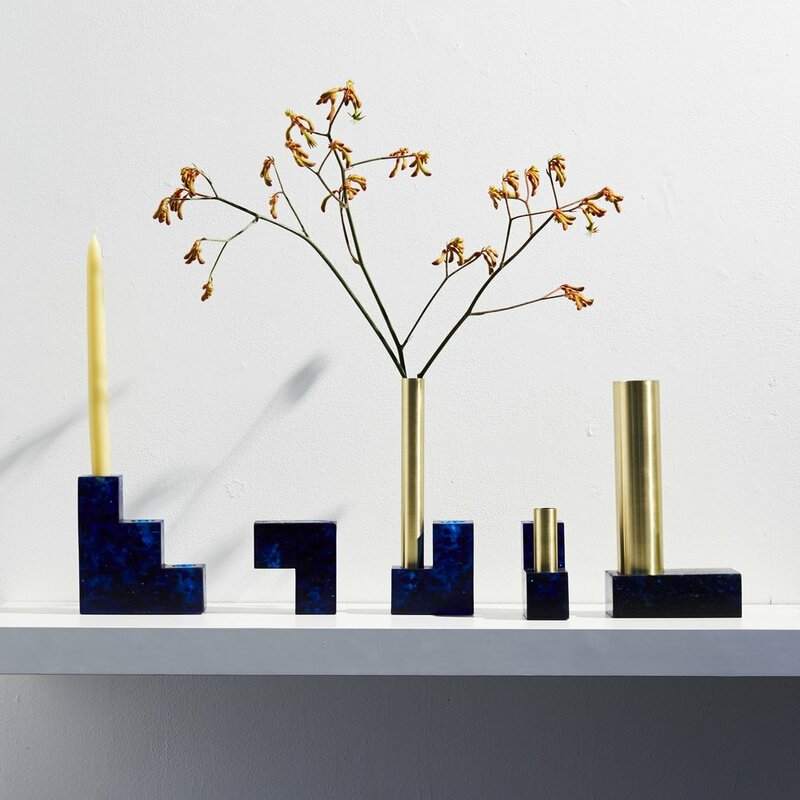 Stack is a beautiful sculptural collection of candelabra, candlestick holders and vases. 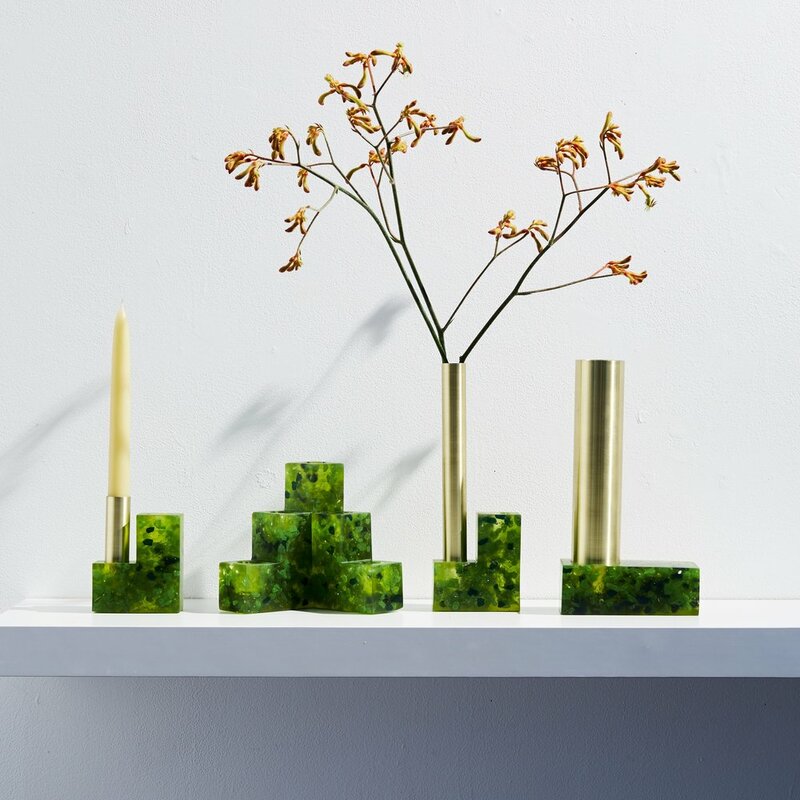 The vases and the two step candle holders come with brass inserts. All the pieces within the Stack collection can be reconfigured by the end user and will make a striking addition to any home. Stack is for those who like to make a statement. 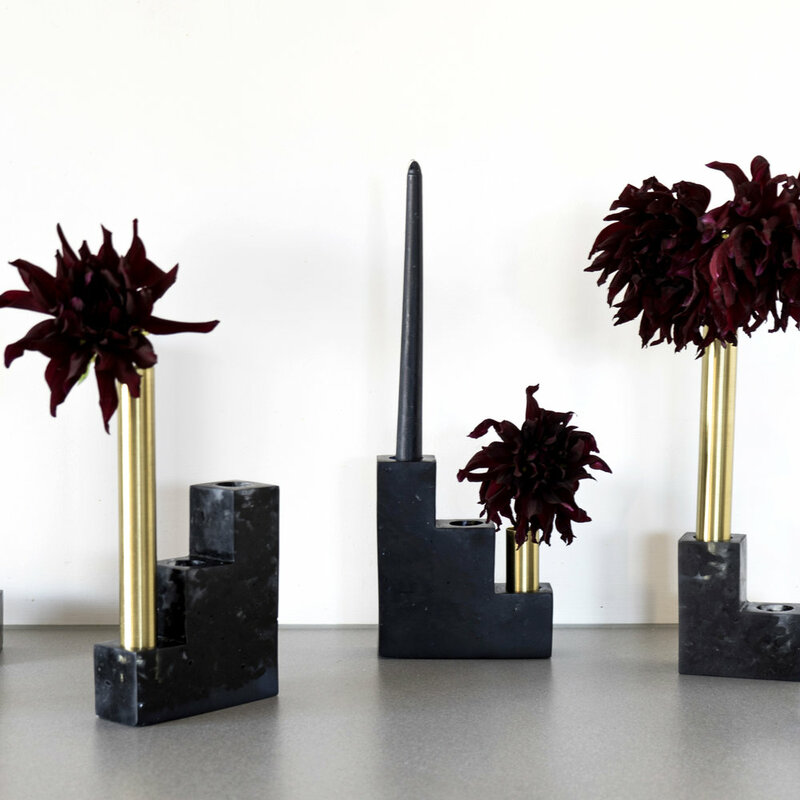 Stack was inspired by the roof lines and old chimney stacks of Melbourne. As the remnants of the old skyline are slowly being obscured and redefined, Stack is a nostalgic reminder of our urban roots. Some are available from studio, otherwise 2-4 weeks lead time within Australia.